How is the public transport in Arunachal Pradesh? Can you use public transport (buses, shared taxis?) 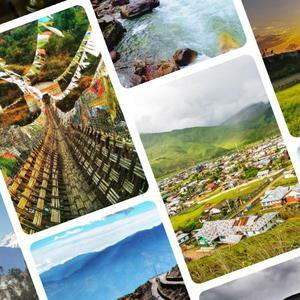 to reach Tawang, Mechuka, Ziro, Namdapha directly or even indirectly? Hey! Yes, there are plenty of shared taxis available. I wouldn’t recommend bus as the frequency is less and take longer. I went to tawang from Tezpur (assam) in a shared taxi -a ten seater tata sumo. Left at 5.30am and reached Tawang around 7.30pm. It was one hell of a crazy ride yet absolutely amazing with breathtaking scenes on the way. Bomdila is the biggest town on the way to Tawang and back. You can easily find a taxi from there to go towards Itanagar for reaching Ziro. Only thing you need to keep in mind is to book a taxi seat a day prior to get the window seat which is premium for a traveller.